Keep your event organized with this modern take on table numbers. Tie the tag on table centerpieces or cards for a more personalized, unique decoration. 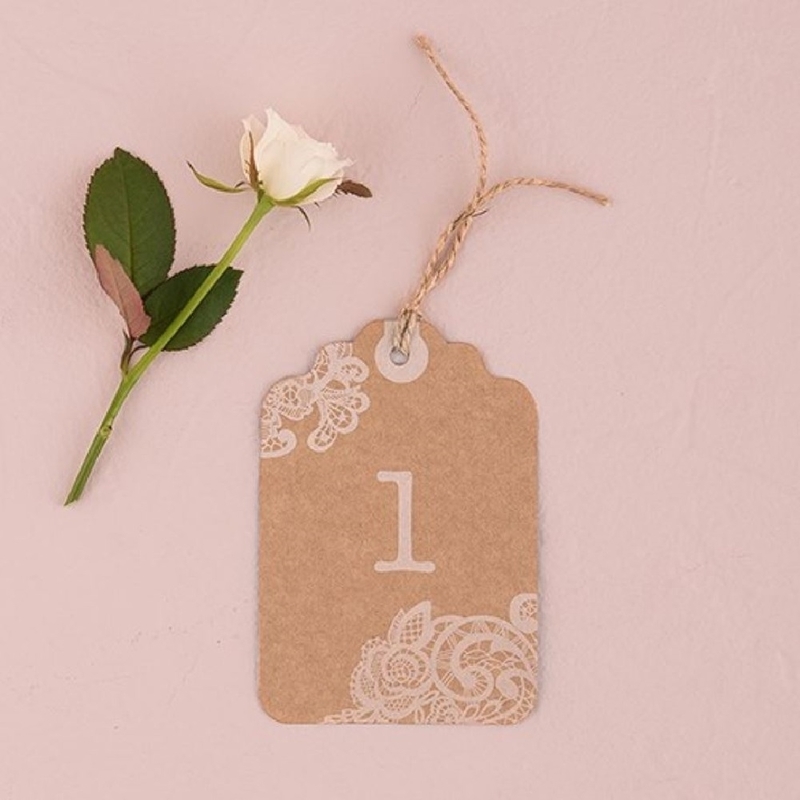 This rusty-chic inspired tag presents a lacy prints which adds a feminine touch for a delicate, warm-lit wedding. Every detail is important and the small size of this tag will complement any centerpiece, definitely tying the place together.